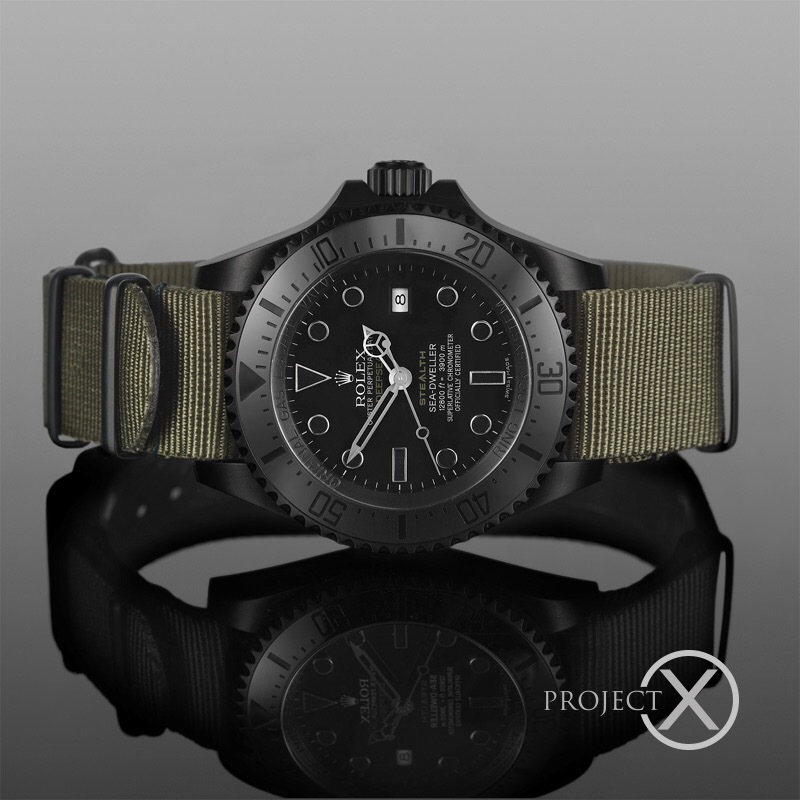 The guys at Project X Design do doe amazing stuff with Rolexs, and a personal favourite is the Stealth MK VIII. Designed with the military in mind, a true thing of beauty. Welcome to the Project X STEALTH series. The limited edition STEALTH series provides a range of modern watches with subtle styling details taken from the vintage dive watches of the past, fused with functional enhancements to create a collection of exclusive, enigmatic and understated STEALTH designs, with the legendary British Military SBS used as a recurring source of inspiration. In the absence of product placement in today’s movies, it is a STEALTH series watch that James Bond, a former SBS operative himself, would really be wearing. Limited to between 24-50 numbered examples per design, each case back of the STEALTH series features an engraved variation of the unofficial SBS ‘Frog, Paddle and Parachute’ insignia and the motto ‘By Strength and Guile’. The STEALTH Series are exclusively available directly via the Project X Designs website and our official retail agents only. Once an edition has sold out, the design will not be repeated. Project X provide independent customization’s of luxury watches via 5 different collections, alongside a range of hand crafted watch straps & accessories. Personalization is the ultimate luxury, offering an opportunity to express your own personal style. 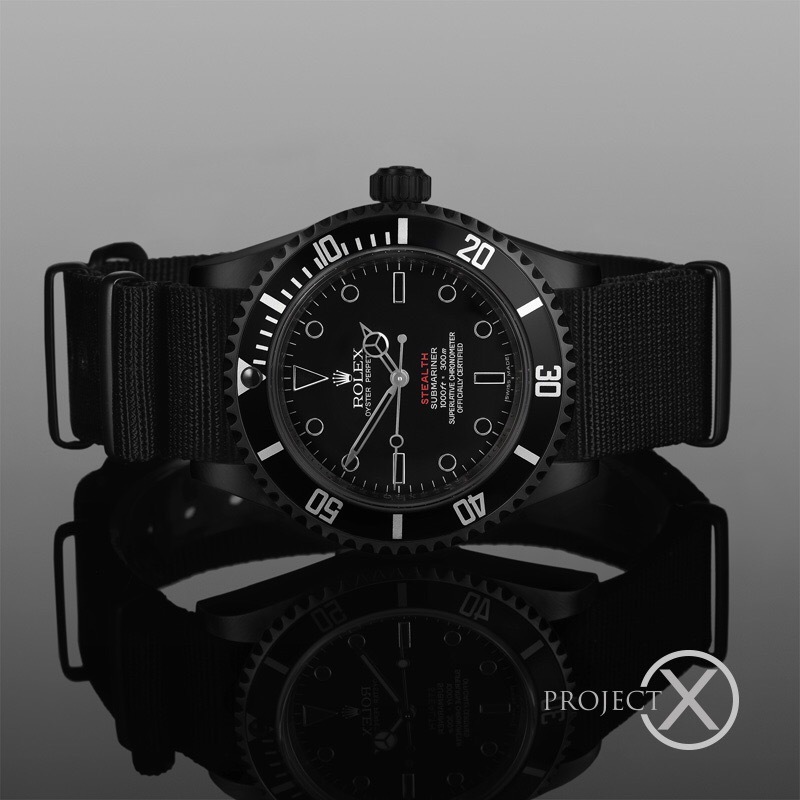 A Project X watch customization is beyond compare. We strive to surpass the standards of the original brand manufacturer by enhancing both the aesthetic appeal & durability of each watch to create a unique statement for the wearer.